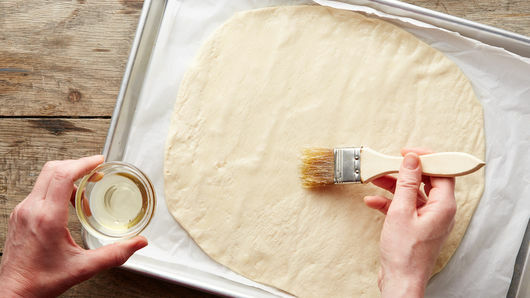 Bake 17 to 22 minutes or until bottom of crust is golden brown. 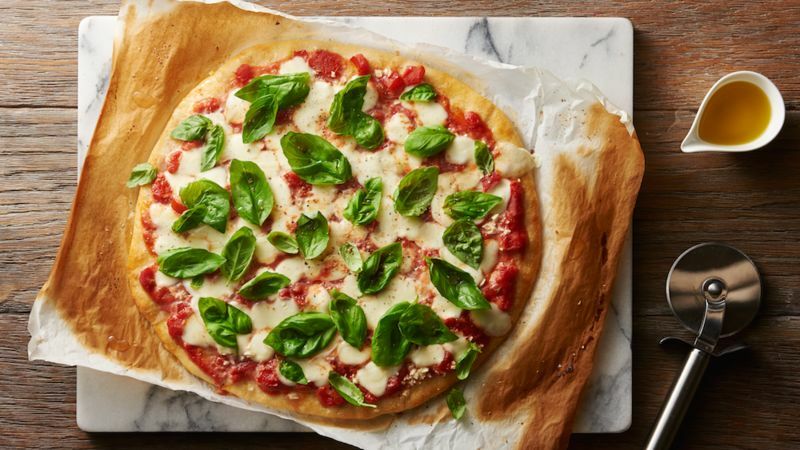 Top with basil. 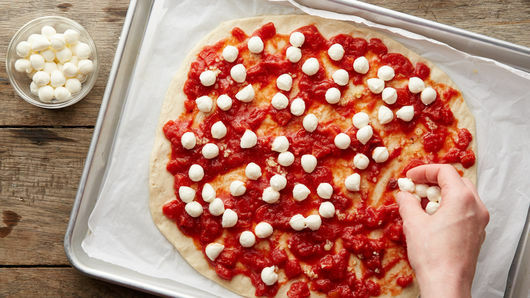 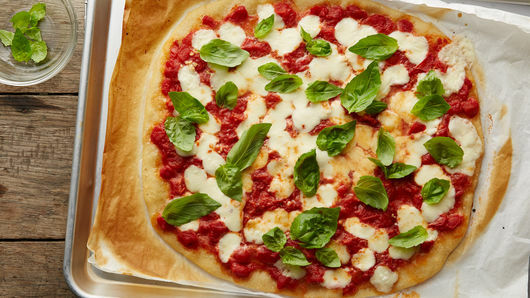 Thoroughly pat mozzarella cheese pearls dry to prevent crust from getting soggy.